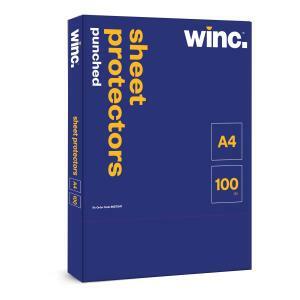 The Winc Sheet Protectors Punched A4 is made of durable plastic to withstand wear and tear from frequent usage. It has a top-loading system that allows you to insert and replace sheets without releasing a folder's binding mechanism. The A4 sheet protector is pre-punched, making it easy to file documents in two, three or four ring binder. Keep your important documents protected from dust by using this clear sheet protector.